Well, we do drive interesting cars, so it has to happen. 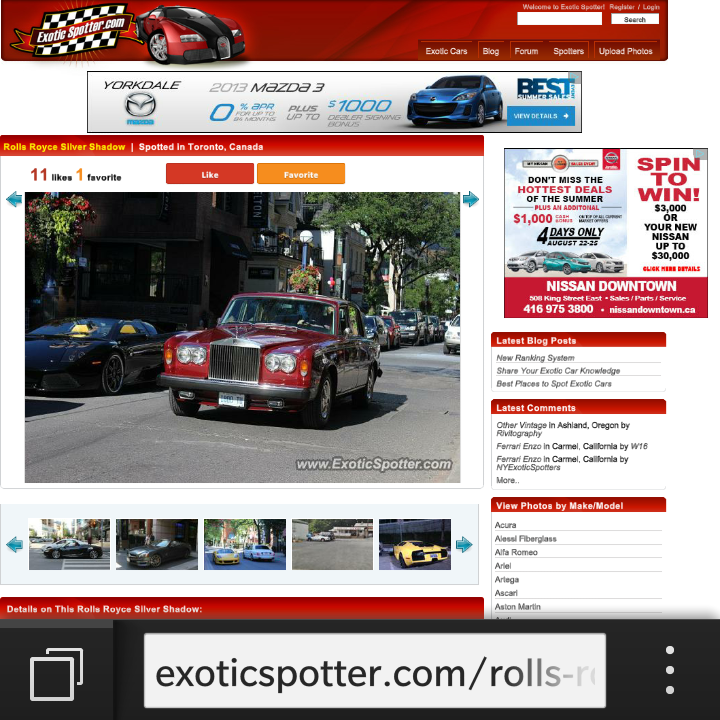 I was spotted by an Exoticspotter.com contributor earlier on this month in Yorkville in Toronto. I actually recall him taking the shot but thought nothing of it until this link was discovered. There have been a lot of car spotters this summer in the area. Funny how that really expensive Lamborghini Murcielago Spyder is merely a backdrop. I have since joined the site myself. Incidentally, the Old Girl is currently in the workshop having a brake fluid leak addressed. Should be back on the road next week. Old cars...Grrrr! RR363 fluid and exhausts don't like each other.